It’s been more than a year since our last business post mash-up (wow, time sure does fly!) and over that year we have amassed a whole collection of business tips, inspirational ideas and insightful interviews with fellow soapers. 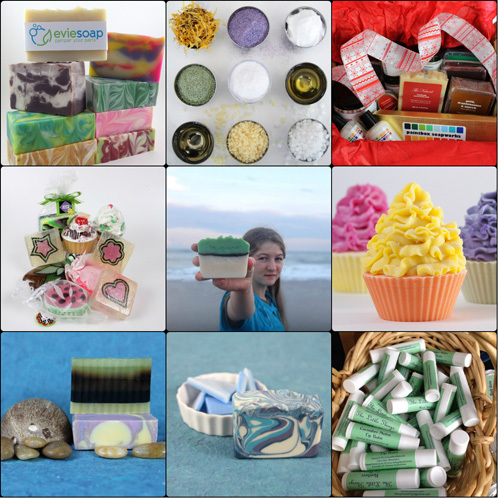 We hope that this post will serve as a comprehensive resource of soapy inspiration to help power you through this busy craft season. I love chatting with fellow business owners, and we had the opportunity to interview nine talented soapers this year. From cold process soapers to melt and pour experts to seasoned business owners to those who are just starting out, with these interviews you’ll get a range of perspectives from soapers across the business spectrum. Have you ever thought about starting a business or need help with some aspects of your social media plan? Check out the Bramble Business Series posts. You can learn about to Set up an Etsy Shop, Use A Twitter Handle, How to set up a WordPress Blog and How to Set Up A Facebook Business Page. Don’t forget to check out the Best Business Practices: Facebook post to learn more about the do’s and don’ts of social media. We’ve also had a few guest posts from soapers such as Amanda Griffin from Lovin’ Soap about her trip to Haiti and her amazing new non-profit; Donna Maria from the Indie Business Network; and Jeanee Duval from Dirty Laundry. Jeanee was also our guest for two Soap Queen TV videos which you can watch here and here. I’ve also been busy keeping up on some of the legal issues in the handmade industry and discussed the Product Labeling Change: Physical Address Petition that was filed earlier this year by the Handcrafted Soap & Cosmetic Guild. California also got a bit of press with a proposed Safer Consumer Product regulations, and Etsy updated their policies on cosmetics making claims. 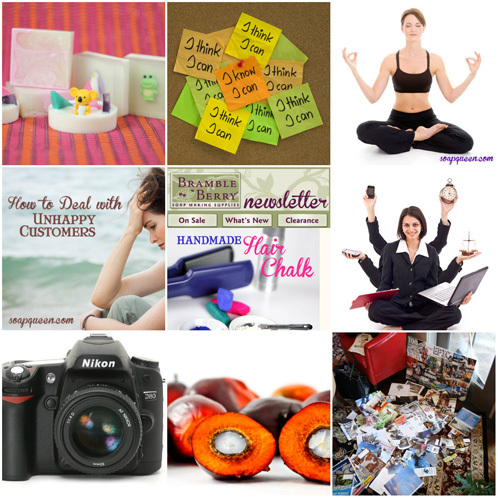 Be sure to also check out these general business posts on everything from Bramble Berry’s Palm Oil to How to Photograph Products and more. Want more business inspiration? Check out our previous business compilation posts: Business Management, Interviews & Inspiration and Marketing. Do you have pressing business-related question? Let us know below! I want to list the scents and their descriptions for my advertising. Can I use your scent names and descriptions? Good question. You certainly can use the names of our scents in your advertising. Just keep in mind that with fragrances that are “Types” (ie: Love Spell Type Fragrance), some people prefer to change the name to be safe because some businesses take action. If you are unsure, it never hurts to take to a lawyer to be safe. Thank you! You didn’t specifically address using the DESCRIPTIONS of your scents. Is that also acceptable? Oh, sorry about that :). Yes, using the descriptions of the fragrances is fine as well. Thanks to you guys I finally took the leap and started my own wordpress blog! I only have 3 posts but I’m excited to document my journey to starting my own soap business! I’ve even included you guys at BrambleBerry in my posts because you inspired me so much! Thanks! A ton of great stuff. Thank you! Gosh – time DOES fly! I really enjoyed my interview last year and appreciated the opportunity to share my story. 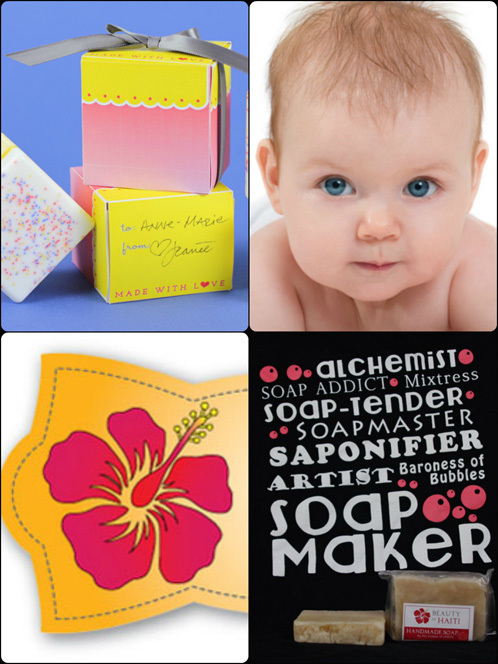 And it’s been so inspirational to read about other soaper’s journeys with their soap businesses. I recently revisited the “Craft Fair Tips Galore” article in preparation for an upcoming holiday show – great stuff! Thank you team Bramble Berry and cheers to everyone for a fun and successful holiday selling season! Fantastic content, as always. I love that there’s something for everyone here. I love this mashup post! I refer to some of the business interviews occasionally and it’s so good that all this great info is compiled into one post!